Born to Prithviraj Kapoor, Shashi belonged to the popular Kapoor family of actors. He was one of the greatest actors of his time. In addition, he was smart as well as talented. Because of this, Shashi Kapoor movies were greatly loved by the people. BOTY has created his all movies list, consisting of all time hits of Shashi Kapoor. Shashi Kapoor was the youngest son of Prithviraj Kapoor, who was the 1st person from Kapoor family to enter Hindi cinema. 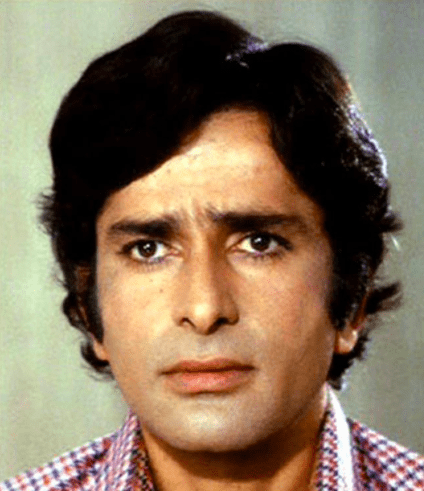 Shashi entered the Bollywood industry in the 1960s, and immediately became the most loved name of this industry. Shashi Kapoor movies are a treat to watch for all the people, even today. Kapoor is extremely famous for his dialogue, Mere Pass Maa Hai. Starring along with Amitabh Bachchan in the movie Deewar, this dialog became a cult for all the coming generations. It is spoken even today in various forms of entertainment. Some of the popular Shashi Kapoor Movies include Sharmelee, Aandhi Toofan, Deewar, Namak Halaal, Waqt, Trishul and many more super hits. While the actor became a prominent name in the industry, his children failed to make their mark in acting. At the age of 79, the actor took his last breath, when he died due to the kidney problems. BOTY has created Shashi Kapoor Movies list, consisting of his all-time hits till date. Browse the list and know a bit more about your favorite actor's filmography.